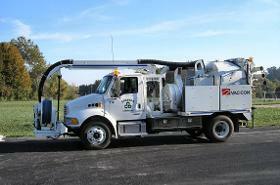 The Grayson Utilities Commission natural gas system primarily serves the City of Grayson and the surrounding areas. The natural gas system was established in 1951 and serves approximately 900 customers with approximately 60 miles of gas lines. In 1991 our gas distribution system went through a major upgrade and replacement of the steel lines with Polyethylene. We operate the natural gas system along with the other utilities with a maintenance crew of 9 men performing a variety of tasks. Throughout the years our entire crew has received a very high level of training and have received their (OQ) Operator Qualification. These certifications are updated on a yearly basis. 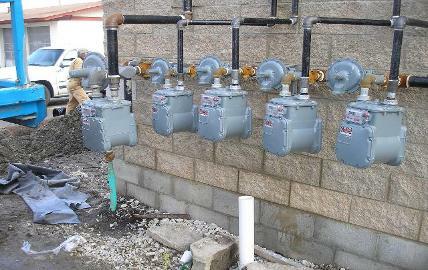 Our system is currently in the process of upgrading our Gas meters and equipment to an auto-read system that will improve our speed and accuracy of obtaining the monthly gas readings. Our system currently has the capacity to handle additional customers and any future growth the City of Grayson may experience. Focused on our mission of serving our customers, we look forward to continuing to provide clean, efficient and economical natural gas for years to come. The U.S. Department of Transportation Pipeline and Hazardous Materials Safety Administration (PHMSA) has amended the regulations as of April 17, 2017, you may request that GUC install an excess flow valve (EFV) on the gas line to your property. An EFV is designed to shut off the flow of natural gas automatically if the service line breaks, for example, by an an excavation accident. Please call our office for more information at 606-474-7569. Beginning July 14, 2018, the Kentucky Public Service Commission ("PSC") will begin investigating instances of excavation damage to underground natural gas pipelines to determine whether the pipeline was properly located prior to excavation. Under changes to the Underground Facility Damage Prevention Act of 1994 (the "Act"), which take effect on July 14, 2018, the PSC will have the authority to levy fines for failing to comply with the requirements of the Kentucky statute related to protection of underground utilities. Excavators, including property owners working on their own property, must call the 811 one-call center at least two working days prior to the start of excavation. IF YOU FAIL TO CALL 811 AND THEN DAMAGE A NATURAL GAS LINE, YOU WILL BE SUBJECT TO A PENALTY. The requirement to call 811 applies to all work on private property if it occurs within a utility easement or uses mechanized equipment. Penalties for violating the statute are up to $1,250 for the first violation, $2,000 for a second violation, and $4,000 for subsequent violations. CALL 811 BEFORE YOU DIG AND MAKE SURE THAT ANYONE DOING EXCAVATION ON YOUR BEHALF CALLS 811 TWO WORKING DAYS BEFORE THEY START. We now accept Visa, MasterCard, Discover and American Express! ACH Automatic Withdrawal from checking account at NO CHARGE.